Grace and Love like Mighty Rivers . . The last two weeks have been a blur of activity. The week before last started with a special "quiet day" at Ffald-y-Brenin Retreat Centre that focused on the hidden ministry of prayer and was a real encouragement. That was following by a meeting with area leaders and the organizers of the National Prayer Breakfast of Wales which will take place March 8th. That is amazing to us and is such a confirmation to us of the effectiveness of our prayer, as we've been praying daily here since May 2005 only a half mile from where the breakfast will be held! Then last week we attended a Revival Conference held at Moriah Chapel in Loughor where the 1904 Welsh Revival broke out and swept 100,000 souls into God's kingdom in about four months' time! The conference was very encouraging and challenging. It was wonderful to see such a genuine hunger for a new move of God, and also to make connections with so many who are earnestly pursuing revival for Wales and beyond. Seemingly in line with the topic of revival prayer and preaching have been two weeks soaked with record breaking amounts of rainfall across the U.K.! 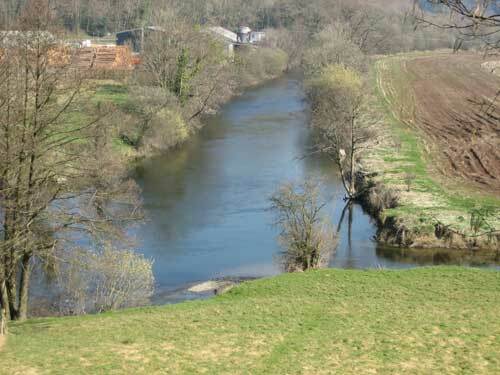 The photo above shows where we prayed last spring in the three counties that meet together where two rivers join.here. 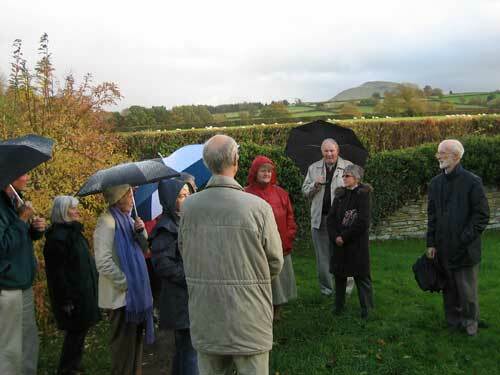 And the one below shows what it looked like last week, and there is more rain to come! It makes a good image to compare with the words of "Here Is Love" (click here for melody and lyrics), which became known as the theme song of the Welsh Revival. This old hymn is a beautiful and powerful statement of God's heart for the lost of this world, and is a great guide to some intercessory prayer! So these recent weeks have been filled with a clear focus on revival, and opportunity to meet many others who are also locked in to seeking God for an outpouring of the Holy Spirit on a dry and thirsty land. "Keep justice, and do righteousness, For My salvation is about to come, And My righteousness to be revealed. Blessed is the man who does this, And the son of man who lays hold on it..." The emphasis in this verse seems to coincide with a growing sense on many fronts that the time is getting closer for something to happen! Will we be ready when it comes? Are we spending sufficient time getting closer to Him? In Him alone is our hope, and only in Him is our ability to handle what is coming! Last week I started reading the Gospel of Luke and got to a part in the first chapter that has always moved me. After Mary has conceived by the Holy Spirit and is pregnant with Jesus, she goes to visit her older cousin in a town in the hill country of Judah. Verse 41 says, "And it happened, when Elizabeth heard the greeting of Mary, that the babe (John the Baptist) leaped in her womb, and Elizabeth was filled with the Holy Spirit." I was deeply touched as I read this, and tears flowed as I considered the wonder and significance of this scene. And then in the middle of my meditation the Lord impressed on me something that made my spirit rejoice even more. This indeed is a singularly powerful event in the gospel story, but it is something much greater than just a historical event, and that is why it has always struck a chord deep inside. I believe this is also a prophetic picture of things happening in the Body of Christ today. Sometimes we meet other believers and something just "clicks." And we discover we are "of one accord and one mind." And there is that same "leaping" in our spirit. 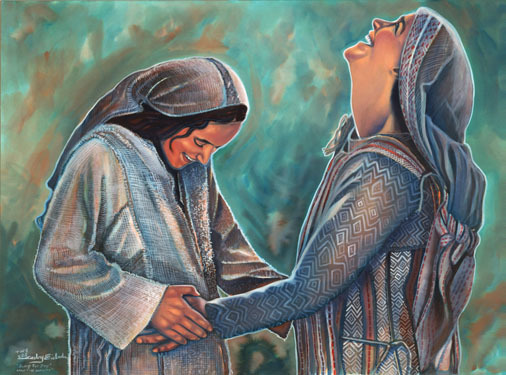 Elizabeth told Mary, "... as soon as the voice of your greeting sounded in my ears, the babe leaped in my womb for joy." Somehow she knew it was a leap of joy!!! Isn't that awesome? And this is what so blessed and excited me. So I'd like to encourage you to look for these divine connections, and even to pray for them to happen! We can look for opportunities for them to happen. When we meet new people, we need to slow down enough to recognize them when they do happen! Hebrews 10:24 says, "And let us consider one another in order to stir [each other] up [to] love and good works." And Ephesians 4:15-17 teaches us that as we grow up into Christ, right relationship "causes the growth of the body for the building up of itself in love." This is some of the best kind of fun I know! There is just such encouragement and joy! And for us, as we continue to meet other people who are committed to praying for revival, and also feeling the assurance of God moving things in that direction, we are particularly blessed and strengthened by these encounters. Re-digging 18th century wells, and a postal blessing! Gladys and I joined a group of intercessors today at Trefecca College near Brecon, to pray that God re-open the wells of revival and divine encounters that originated here in the 1700's. 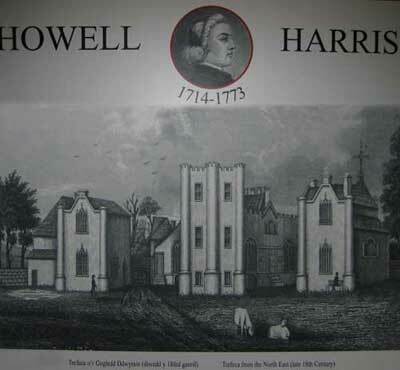 Howell Harris, born in 1714, was dramatically converted here and then empowered by the Holy Spirit as a firebrand of revival preaching that rapidly spread through Wales at the time. The heart of our prayers was for a fresh release of the spirit of God over this important part of Wales - for every segment of society here: church and family, school, business, government and the all important farming community. In spite of the fact that God has sovereignly moved here and thoughout this land many times in the past with great power, the churches in this area are struggling to survive, and have little if any real influence in the in daily life of local communities today. In his times, Howell Harris was led by the Lord to start a Christian community here at Trefecca. It grew quite large and the application of God's word to every day life produced a thriving Christian extended family which brought blessing to the area for many years. In the mid 1800's the buildings became the Theological Training College for the Welsh Calvinistic Methodists. A fresh outpouring of the Holy Spirit can indeed transform lives, communities and nations, and this is the goal we seek. Should we pray and work for anything less? Would Jesus have commanded us to "Go therefore and make disciples of all the nations, baptizing them in the name of the Father and of the Son and of the Holy Spirit," if it were not possible? So please join with us in reminding the Lord of his declaration in Isaiah 55:11, "So shall My word be that goes forth from My mouth; it shall not return to Me void, but it shall accomplish what I please, and it shall prosper in the thing for which I sent it." His words are not for a limited time or space, but they abide forever. As so we are calling on Him for the fulfillment of these words in our times. We are building on a foundation of centuries of prayers! 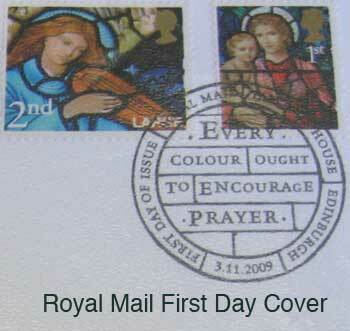 Another word of encouragement for prayer come to us from an unexpected source - the Royal Mail Service! And this encouragement did not come just to us, but to stamp collectors all over the United Kingdom. This unique postmark is a public exhortation to prayer, and coming from a government agency of a very secular nation, this itself is quite impressive, and very encouraging. Without a doubt we are seeing the effect of God fulfilling his words even in this detail. What a mighty God we serve! We encourage you to pray with His love for a needy world around us all, for He is more than able. Final reminder! The Revival Conference is coming up at Moriah Chapel, Nov.17-19th. More information available here.